Buy LA Girl Foundation online at Boozyshop. The make up webshop that makes online cosmetics shopping fun! Say goodbye to imperfections and impurities! With the foundations of LA Girl you create an even base for your makeup. By applying foundation you ensure that imperfections disappear and your skin gets a healthy look. The foundations are lightweight and feel comfortable, so they do not create a cakey effect. In addition, the LA Girl foundations are long-lasting, budget-proof and there is a wide variety of colors so there is always a foundation that suits you! BB Cream, matte or a dewy finish: what suits you best? The assortment of LA Girl foundations is very versatile, so it is important that you choose the right foundation for your skin. Do you have very dry skin? 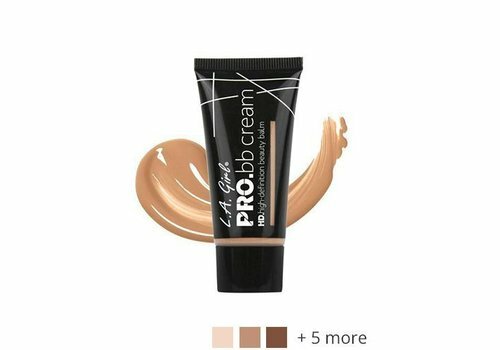 Then it is advisable to go for the LA Girl Pro Coverage Liquid Foundation, because it hydrates the skin and provides a healthy glow. Do you have a greasy skin? Then you can go for the LA Girl Pro Matte Foundations, because they are water-based and have a matte finish. Do you want light coverage and care in one? Then the LA Girl BB Cream is perfect for you! The BB Creams have a light coverage and at the same time feed the skin with different vitamins. Do you not know which color suits your skin color best? Do not hesitate to contact our makeup artists via the chat. They will be happy to give you the best advice! 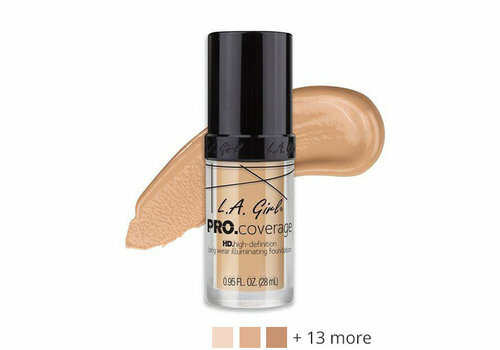 Buy your LA Girl foundation at Boozyshop! The foundations of LA Girl are suitable for everyone! Due to the light weight formulas of the foundations, these are easy to apply and blend into the skin. The foundations of LA Girl are offered for a competitive price. In addition, in the assortment of LA Girl you will find different types and colors of foundations, so that there is always a foundation that fits your skin. With an order over 30 euros you will receive a free gift from us. So say bye bye against impurities, and hello to the LA Girl foundation!